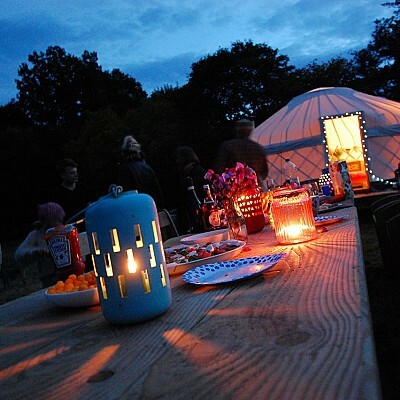 4 traditional Kyrgz yurts on a 10 acre site with 360 degree views of the Welsh countryside. Private outdoor cooking fire pits and shared kitchen. 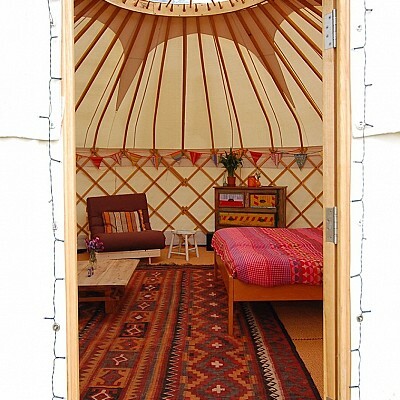 All Yurts have wood burning stoves and solar lighting.